Happy Valentine’s Day all. Whether you are someone who is loved up and enjoying the day with your beloved, or if you’re still fancy free I hope you’re taking the time to feel hopeful for all the loved ones you do have in your life. I’m spending today designing our wedding album. That’s right, fourteen months down the line and it still hasn’t been done. In fact, I’m well aware we haven’t really shared our wedding, and we will one day, if anything just to showcase our amazing suppliers. (Although you can see Albert’s blog here if you want a peek.) But with this job, our clients always come first, and there is always another wedding or pre-wedding shoot to blog, or album to do. Today though, I hope those clients waiting for their album proof will forgive me, as I decided today would be the day I designed our album. We had no doubt the brilliant Albert Palmer, who took our beautiful photos, would have made us a gorgeous album, but this was a task I wanted to do myself. So here we are, fourteen months later, still just looking at the selected prints around the house, so I decided it was time to do it. In the six weeks or so following our engagement, we got all the big things out of the way. Venue, photographer, dress, DJ, all sorted, and then wedding season properly kicked in so our plans were put on the sidelines. With less than six months to go now, we realise it’s time to kick our plans back in, but some of these decisions seem to be the hardest. Our big choices were fairly straightforward, our venue choice being a little stressful, and photographer choice hard, but thanks to being wedding photographers we knew which suppliers we wanted to work with. What we are struggling with is the finer details – is it just us? Being Italian, wedding favours or bonbonierre are considered an essential on the day, but I know my mother has a loft full of little ornaments and nik-naks with the dusty labels bearing the names of various cousins, the sugared almonds attached in their organza pouches way beyond their eat-by date. Favours in the UK have taken on their own form in the last ten years; frequently being of the edible kind – cupcakes, biscuits, chocolates or sweets – usually being devoured alongside the bread roll before we’ve even got a whiff of the starter. Favours can also take on a more lasting memorial of the day, with small ornaments or gifts such as hankerchiefs or pillows being something nice for people to take home. Also popular is a lottery ticket or scratchcard, although we always wonder what would happen if someone won big – that could be awkward! I asked Lucie Taylor, who gave her guests the lovely scratchcard pictured below at her wedding earlier this year. Did she and Ed consider how they would feel with a big win? “We figured that if someone won big then they were at the day because we loved them and would have been happy for them.” Daw! Tom and I have considered a monetary route on the favours, but with a donation to our favourite charity instead. I can’t help in thinking would our guests think we couldn’t decide what to do rather than a desire to recognise the charity at our wedding? Especially as our choice would be an animal charity. However, if the charity is linked to the couple in some way, for example a hospice that looked after a loved one, then it can be a lovely way to remember them. Of course, the favour is a perfect opportunity to go a little leftfield and give your guests something that completely fits your theme, and have a little fun with it at the same time. We’ve also seen some great ‘sharing’ favours, bowls of sweets on each table for people to nibble on and interact with each other. A great idea was the lovely Mr & Mrs Bailey putting a big bottle of Baileys on each table for their guests to enjoy. It is also completely ok not to do favours at all. After all, you spend so much on canapés, drinks and food, if your intention is not to leave them with a lasting memento of your wedding as the Italians do, then do they really need something else to nibble on? So if you don’t see the point, do away with it, no-one will miss it, trust us. Music is another subject we are struggling on a little. We’ve never been the couple to have ‘our song’ so we have been trying to think of music that has the right sentiment and feel for our wedding.. We’re going for an Icelandic wintry theme, so given that we’ve been listening to a lot of Icelandic music this year anyway, it feels right to use this style of music. This doesn’t mean we are just going to play Sigur Ros though! I know what I want to walk up the aisle to but the rest, bah, we shall just have to keep on listening! Same goes for the ceremony as a whole really, we want readings that have words which mean something to us, but there is such a huge amount of material out there, many of which we have heard at weddings frequently. We’d like to have something literary that is more unknown but there is only so much time someone can spend leafing through books for love passages! Much like the music, we currently have one chosen option, an Icelandic poem which talks about shimmering stars in a day in January – it’s so emotive and reminds us of our engagement, I burst into tears trying to read it aloud to Tom! I think the thing that is hindering us with readings is that we have heard so many and the same ones over and over again. This is absolutely fine in the individual context of one wedding, as long as the words are right for you then go for it, but we feel we are having to look a little harder for something more unique to us. I’d particularly welcome any suggestions for alternative Shakespeare! So that’s where we are at. A thunderstorm a week or so ago forced us to spend the evening on a laptop making wedding decisions so we got a couple of things done then. We’ve also been listening to a lot of playlists rather than our usual BBC 6 Music during the day, so we think we have now decided on the signing of the register music. The really hard one is the recessional! We’re happy to be celebrating this month – we’re five years old! We can’t believe how time has flown since we decided to specialise in providing fun wedding photography in Cambridgeshire and throughout East Anglia – and beyond! Here’s a look back the first five couples who gave us the opportunity to shoot their wedding under our former name of Liquid Photo and help us build the successful business we have now and love! It was Fran & Andy’s engagement which started it all, good long-term friends of Tom’s who knew his talent and asked if he would be their wedding photographer at the gorgeous Priory Hall in Suffolk. We knew it was where we wanted to go so it was a great opportunity – we didn’t let them down and the rest, as they say, is history! As if to test if we really meant it, Lina’s best friend from childhood, Rachel, also announced her engagement and asked if we would be their wedding photographer at the Bedford Swan Hotel. A huge privilege, which really cemented our desire to concentrate on weddings and build a successful business as wedding photographers. It was also the debut of our photo booth studio for the first time – still going strong and much replicated almost five years later! Virginie and Adriano found our small but perfectly formed portfolio online, and could see the spark of talent in our work despite our still relative inexperience. They had a wonderfully relaxed wedding at Cambridge Registry Office Shire Hall followed by everyone heading to the Fort St. George pub on Midsummer Common. Such a lovely couple, and we thank them for the occasional updates we get of their little family. 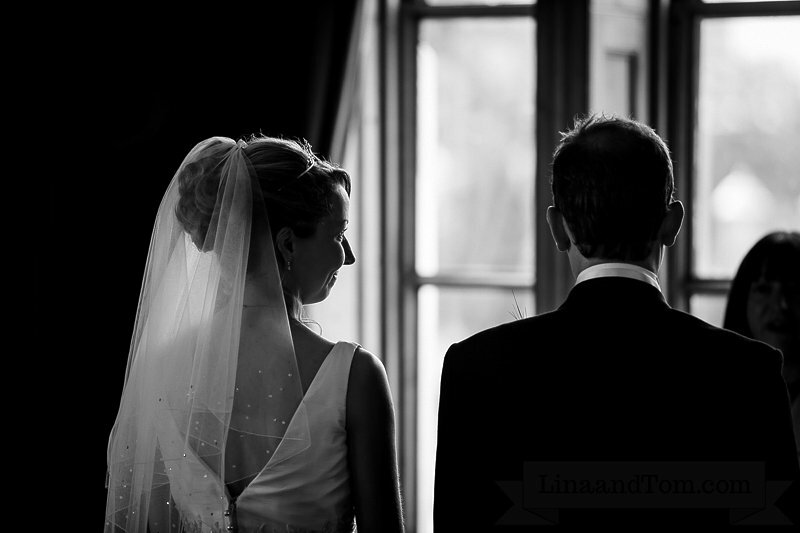 A former work colleague of Lina’s, Louisa and Jamie wanted relaxed reportage photography and had seen our work evolve. They had a wonderful barn wedding with gorgeous flowers and fresh hops, as well as our fun photo booth studio in the evening as part of their Tewin Bury Farm wedding photography. 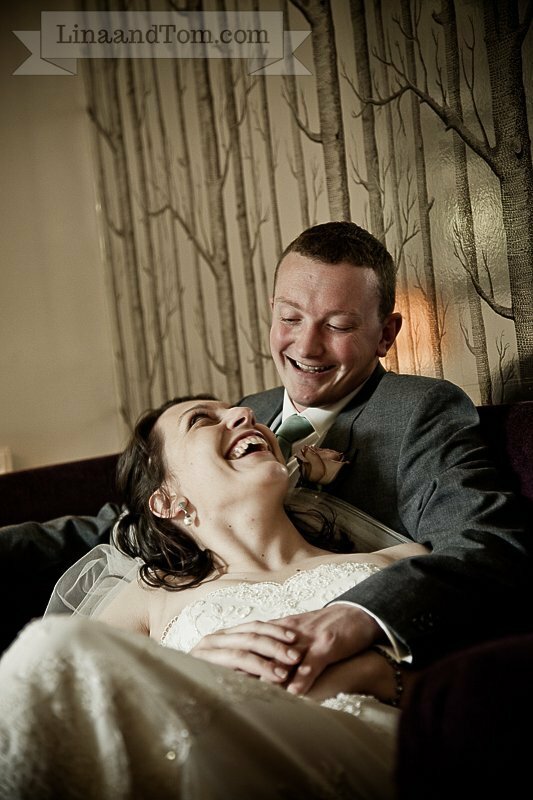 We love this shot as it is a testament to how great a couple can look when feeling relaxed with their photographer, and it regularly jumps out of our portfolio with prospective clients. We’re very happy to be able to now call them friends. 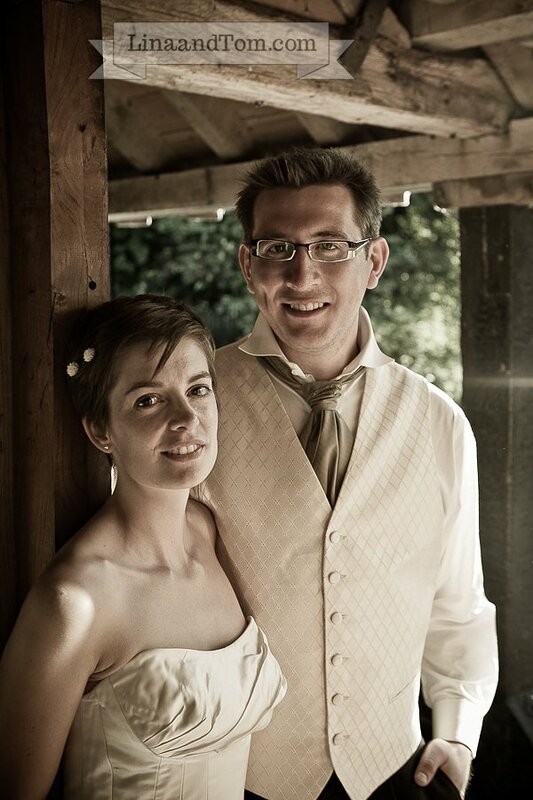 Jennie and Aaron were our next couple to find us purely via Google and we are so glad they did. 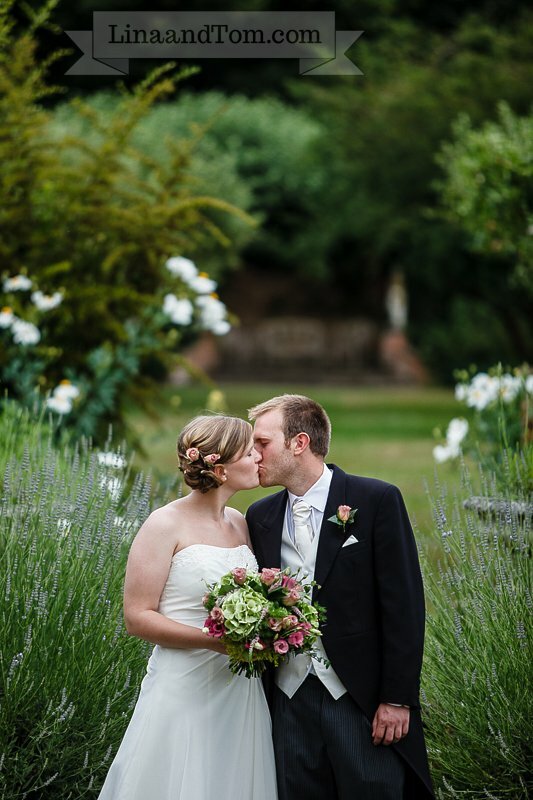 They’re based in Ireland but married in Ely, with a wedding reception at the lovely Old Bridge Hotel in Huntingdon. 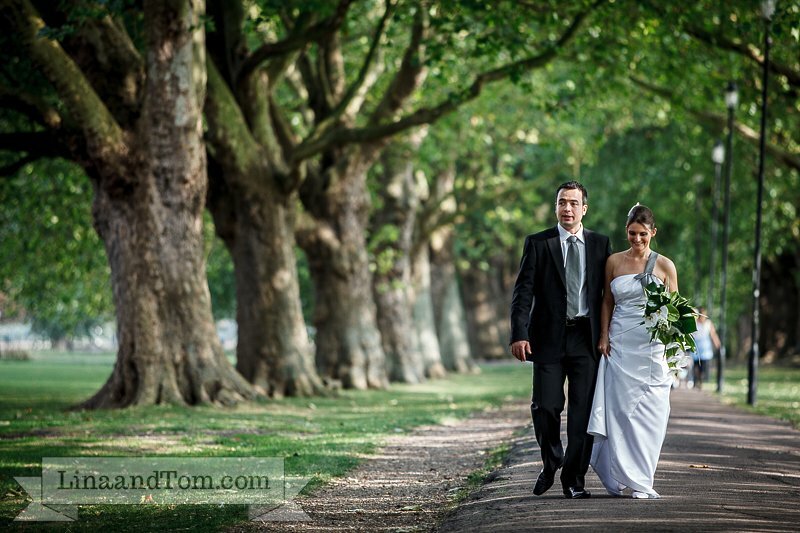 We had such a lovely relaxed day with them and were thrilled when they loved the photos. Again it is great to hear from them now an then or via social networks that they are well! Without these couples taking a leap of faith in (at the time) Tom’s talent and Lina’s marketing and business skills, we wouldn’t be where we are today, very happy as successful wedding photographers grateful to be doing a job we love. It is a huge honour to share this special day with a couple, and having shot well over 100 weddings now, I don’t think we will ever get tired of what we do, so thank you to everyone who has played their part in getting us here!